Gate Openers & Gate Operators – Every Home Should Have Them. There are many reasons why people buy gate openers. If you think they are expensive to install, you should consider why people buy them so you will have the right perspective vis-à-vis their costs against their benefits. If you have a gate opener, you will be sure that your gate will be fully closed. Having a gate that is completely closed is already a deterrent to intruders and trespassers. A great majority of home burglaries are the result of defective front gates that cannot be completely closed. With automated gate operators, you will have the assurance that your front gate will not be inadvertently opened. Even if the thief tries to force it open, he can’t because he is fighting against a strong electric motor of several horsepower that maintains the complete shut-off of the gate. Don’t think that installing electric gate openers are only the realm of the rich. You could never be more wrong. Burglars and thieves are targeting not only the homes of the rich, but all homes that have no gates protecting them. 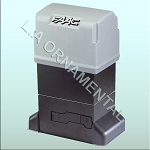 It would interest you to know that these openers are now becoming more and more affordable. There should be one gate opener that you can afford. If you have a front yard that has not even a fence guarding it, you are most vulnerable to home burglaries. 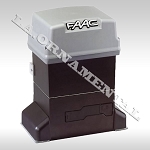 Installing an automatic gate opener, like vehicle gate arm, will provide your property full security. Don’t wait for a burglar to break into your home before installing this system. 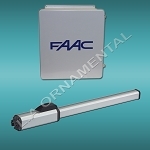 FAAC is the undisputed world leader in automated systems for opening gates, doors and garage doors. We produce automatic movement operators for gates, garage doors, barriers, rolling shutters, glazed doors, swing shutters, and access control systems, with countless solutions for intensive, heavy commercial uses as well as for residential applications.